Shortness of breath and pain in the chest due to an accumulation of fluid in the pleura are often symptoms of pleural mesothelioma. 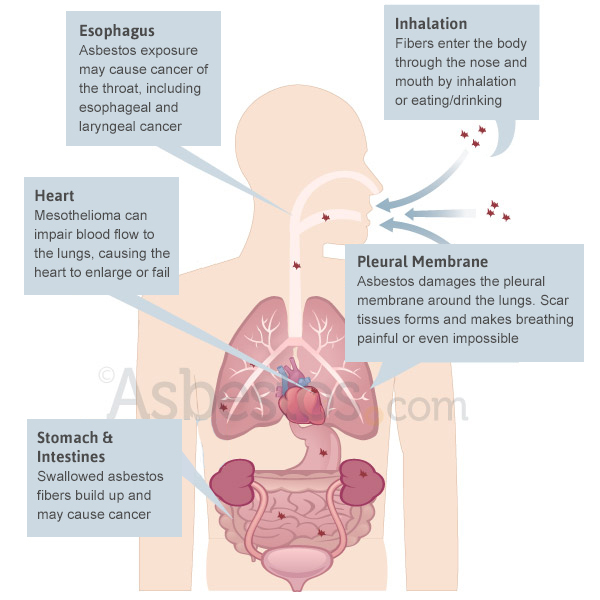 Symptoms of peritoneal mesothelioma include weight loss and abdominal pain and swelling due to a buildup of fluid in the abdomen. 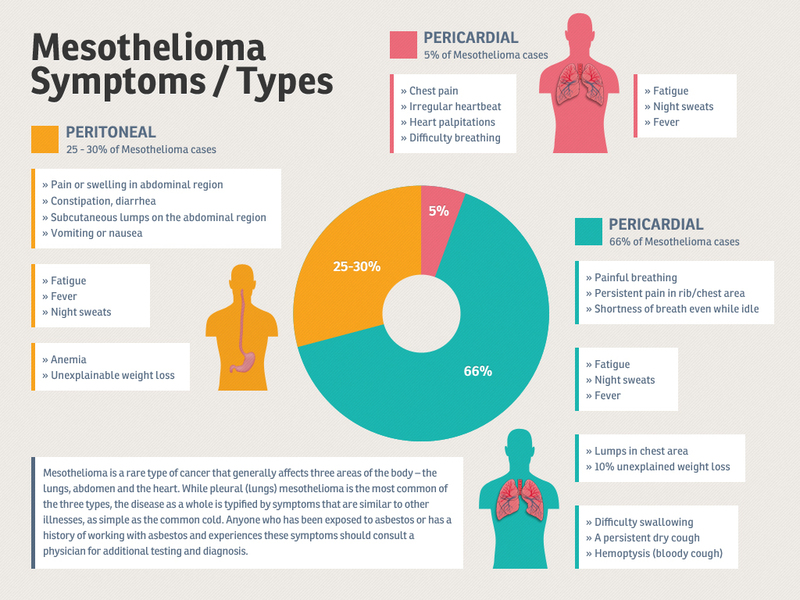 Other symptoms of peritoneal mesothelioma may include bowel obstruction, blood clotting abnormalities, anemia, and fever. 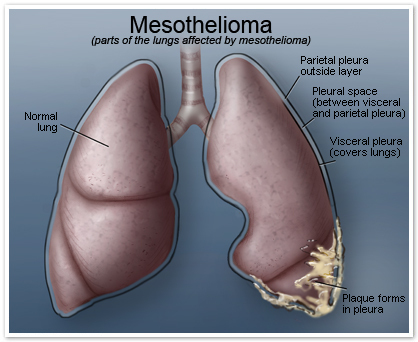 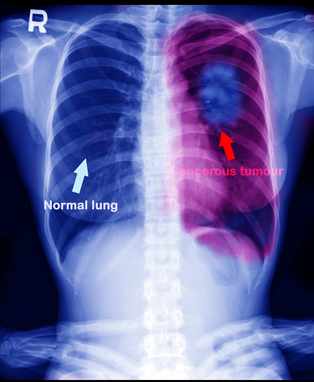 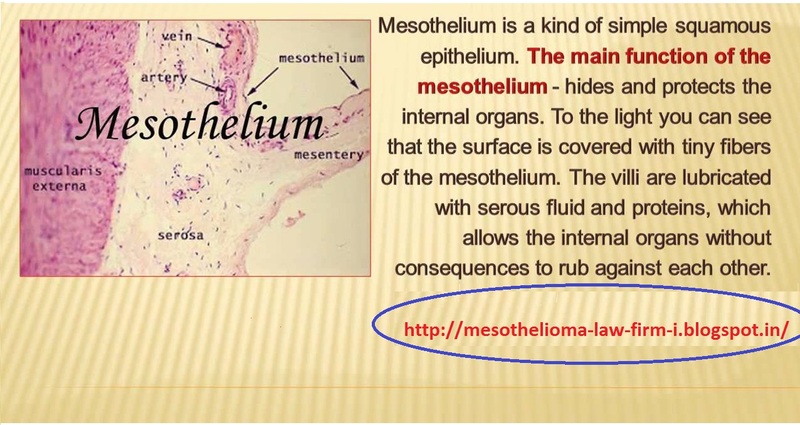 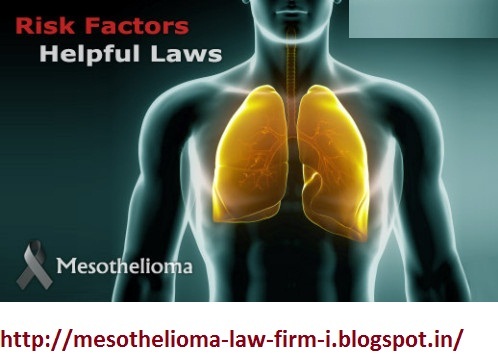 Over 2,000 new cases of mesothelioma are diagnosed in the United States each year. 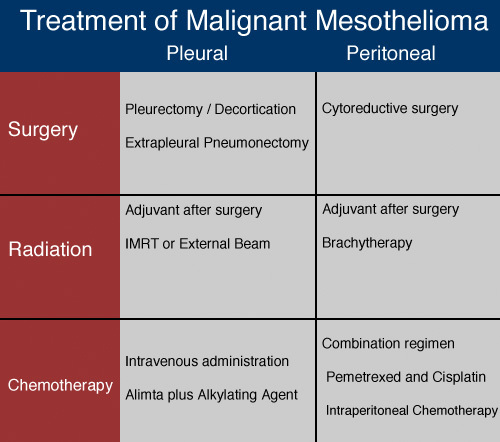 Mesothelioma occurs more often in men than in women and risk increases with age, but this disease can appear in either men or women at any age. See statistics for more details.